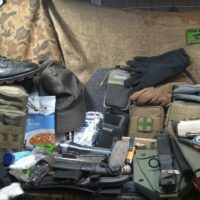 Sensible Prepper Presents: Filling the Holes in your Preps! Balance is the lesson here and finding the areas that you're lacking. Using the Rule of 3's to make a plan and include the things that transend those rules. AMP-3 Medical Kits: http://www.amp-3.net/ Skinny Medic Website: http://shop.skinnymedic.com/ Going Gear: http://goinggear.com/ Survival Rain Water Catchment Thanks For Watching~ Sootch00 Music is from Jingle Punks Royalty Free Music through the Fullscreen Network. Used with permission.